The rework of Storm Burst in patch 3.6 made the skill much more useful and easy to scale than before. Storm Burst gains charges as you channel, the maximum number of charges depends on your cast speed and skill effect duration. The Trickster ascendancy class has good synergy with Storm Burst, simply because Harness the Void and Swift Killer bring so much offensive power to the build. Essentially with this build we aim to scale the base damage of the skill, while also maintaining decent critical strike chance. After that we focus on gaining great amounts of extra damage via flasks and Harness the Void. The Storm Burst Trickster is a powerful spell-based caster that has good mobility, decent clear speed, great single target damage potential and a respectable life pool. The character can easily be played on a budget. Simple things like Tabula Rasa can carry you all the way to red maps. Later when you have the currency to invest, we recommend acquiring The Eternity Shroud, this chest will provide a great amount of chaos damage as long as you have Shaper-based items equipped. When all your items are Shaper bases you will also ignore enemies’ Chaos Resistances, which is very powerful when you consider how much chaos damage you will be doing via Harness the Void, The Eternity Shroud, Sin's Rebirth and other sources. The build can also be played low-life with Shavronne's Wrappings; Pain Attunement will provide a lot of spell damage and your energy shield sustain will be very good with the new Energy Shield leech passive nodes. Offensively, holding down Storm Burst for a second or less will be enough to kill most monster packs. You should have a good up time on your flasks and Frenzy/Power charges. Flame Dash will allow you to move around quickly when needed, the great amounts of cast speed you achieve make this skill feel very good. Defensively, the build has a few layers of defense that make you take less damage. Arctic Armour reduces incoming Physical and Fire damage. Ghost Shrouds from the Trickster ascendancy provide additional damage mitigation. Passive nodes like Singular Focus will keep you safe while channelling. The build easily achieves over 6k effective life pool. For Playstyle, you should stay aggressive for the most part. Although you cannot freeze enemies due to the fact you are using Elemental Focus Support, your hits are doing enough damage to stun-lock most enemies. Moving around and clearing fast will guarantee good uptime on Power and Frenzy charges via the Swift Killer ascendancy. Before tough bosses, you can build up charges just by channelling the skill instead. You do not need to get next to mobs, so keep your distance whenever possible. Channelling around a second will guarantee you get the buff from Infused Channelling Support gem. Useful tip: You can kill Proximity Shield monsters instantly by channelling your skill out of the bubble and then instantly Flame Dashing into the shield; the explosions from Storm Burst will deal damage right after you’ve teleported and the Proximity Shield mob will die. You can deal with Porcupines by using Wave of Conviction totems as a meat-shield. Harness the Void is a very RNG-heavy mechanic that has the potential to deal incredible amounts of damage; you will occasionally obliterate enemies in a split-second because of this ascendancy node. Swift Killer provides great ways to generate Power and Frenzy charges, which are also sustainable in single target fights. Ghost Dance allows you to make use of the Ghost Shroud charges, which in the long run will keep you safe and give you great amount of cast speed; this ascendancy node also provides good amount of chance to evade attacks and spells, along with 10% movement speed. Escape Artist implements a very interesting mechanic, which is not seen very often in Path of Exile; this ascendancy node allows you to have even more Energy Shield per Evasion Rating on your Body Armour and the reversed effect for your Helmet (more Evasion Rating per point of Energy Shield). You also become immune to Stuns while you have Ghost Shrouds, increased cast speed per Ghost Shroud and 20% chance to Evade spell hits if you have energy shield. This is the endgame passive skill tree for the build. We focus scaling Physical damage, Lightning damage, Critical Chance and Multiplier, Cast Speed, Channelling nodes and Maximum Life. All the Power charges should be picked up for the great synergy they have with the build. Some damage nodes can be dropped in order to pick more life if you choose to do so. Major: Soul of Solaris provides good amount of damage mitigation when fully upgraded. To fully upgrade the Pantheon, capture The Gorgon in Sulphur Vents Map, Jorus, Sky’s Edge in Temple Map and The Infernal King in Caldera Map. In order to do that you need to have Divine Vessel in the Map Device while you are activating the particular map, then just kill the map boss and give the captured soul in the vessel to Sin in Oriath. Minor: Soul of Tukohama has great synergy with the build. You simply gain more physical damage mitigation and life regeneration while stationary; you are considered stationary while channelling. Capture Tahsin, Warmaker in Siege Map to upgrade this minor Pantheon. Storm Burst is your main skill, which should ideally be used in a 6-Link. For mobility, use Flame Dash. Buffs like the Zealotry aura and Arctic Armour will provide a good balance of offense and defense. Wave of Conviction totems will lower the enemies’ Lightning Resistances while also providing additional single target damage; these totems should also be used as a meat-shield against Porcupines. Summon Lightning Golem provides additional cast speed. Storm Burst is a channelling skill that deals more damage the longer you cast it. You can reach more maximum stacks of Storm Burst by achieving high cast speed and increased skill effect duration. The skills base critical chance is 6%, which is ideal when playing a critical-based build. We recommend one link that works great for both single target and clearing. Wave of Conviction lowers enemies’ elemental resistances depending on the highest amount of damage it dealt. We convert most of the spell’s damage to Lightning in order to guarantee we lower enemies’ Lightning resistance. The skill is used via totems, which allows us to also prevent deaths from Porcupines by using totems as a meat-shield. Flame Dash brings great amount of mobility into the build. The great amounts of cast speed will make the skill feel very smooth and fast. The following link also gives you the Arcane Surge buff for around 6 seconds; make sure your Arcane Surge Support gem is locked at level 4 or lower. Immortal Call can be used in order to prevent death from consecutive physical hits. Gems should be kept at level requirement of 40 or lower, except for the Increased Duration Support gem. Summon Lightning Golem should be used for the cast speed it provides. Zealotry should be used in combination with Arctic Armour; you can also use Wrath instead for even more damage, but you will have to get some “Reduced Mana Reservation” nodes or a level 3 or 4 Enlighten Support, which can be pricey. Vaal skills like Vaal Discipline, Vaal Grace, Vaal Haste, Vaal Righteous Fire and Vaal Lightning Trap can be used for the additional power boost they provide; you can use any other Vaal skill based on personal preference. The build can be played on a budget until you acquire some currency. We recommend playing around The Eternity Shroud, which can be expensive. This Body Armour also encourages us to play with a full set of Shaper-based items in order to ignore enemies’ Chaos Resistance. Diamond flask is mandatory in every critical-based build; this is a good flask to have Curse or Freeze immunity on. Divine Life flask should used as Instant or half-Instant along with Bleeding Removal suffix. Atziri's Promise, Sin's Rebirth and Taste of Hate are unique flasks that provide great amount of offensive power, along with some defense. Utility flasks like Basalt, Jade and Sulphur flasks can be used, based on personal preference. Make sure you have Bleeding, Curse and Freezing immunity on your flasks. There are no mandatory unique or non-unique jewels that the build requires in order to work. A Watcher's Eye with Zealotry or Wrath mods can be very powerful, this jewel can also get very pricey. Beyond that you should prioritize on having at least one Abyssal jewel for the Onslaught on kill, then focus on regular jewels. Storm Burst is a great leveling skill and you can start using it since level 12. As long as you have two Axiom Perpetuum you can start investing into critical nodes early on, which will make you deal tons of damage. This is an early representation of the passive skill tree. After that you can go to the Templar starting area, then pick up the life near Scion; your skill tree at this point should look like that. At this point you should have ascended into Swift Killer, which allows you to pick the Power charges near Shadow and Witch, then you should just follow the endgame passive skill tree. As you begin a new character, there are few unique items that can boost your power exponentially. Tabula Rasa allows you to have a 6-Linked skill as early as you get the gems. Wanderlust gives a decent movement speed, which will make your leveling that much more efficient. Goldrim provides a lot of elemental resistances, this will let you worry less about gearing when approaching certain Act encounters. Two Axiom Perpetuum will allow you to build around critical strikes from early on, which will make your content progress that much easier. At level 8, your Explosive Trap should look like this. At level 12, you should drop the Explosive Trap link and start using your signature skill, Storm Burst. At level 16, you should add Arctic Armour and the following Wave of Conviction gem setup. By level 18, your gem link should look like this. At level 24, you should add Zealotry for additional damage. At level 34, you should add Summon Lightning Golem. 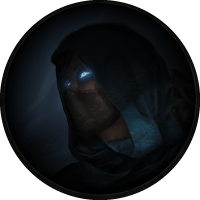 Why do you choose Trickster over Inquisitor, Occultist or any other ascendancy class? The Trickster is an ascendancy class that has very good balance between offense and defense, it also allows you to have very good clear speed, while also maintaining insane endgame single target potential. It is also a more budget-friendly compared to other ascendancy classes in most cases. Elemental reflect is impossible to do. No regeneration maps are tough, but doable if you manage to get the mana cost of Storm Burst to via crafts on rings and amulet. The Storm Burst Trickster is a very solid build choice for every player that prefers the powerful channelling spell caster. Controlled Destruction Support is a big damage multiplier, although it reduces Critical Chance by 100%, it is still worth using. Increased Critical Strikes Support increases the base Critical Chance of your skill, essentially the skill being not 6% base Critical Chance, but 7,9% at level 20 of the gem. I can see where your confusion comes from, yes it does seem counter intuitive on first look, but Controlled Destruction scales the base spell damage of your skill, while Increased Critical Strikes counters the % reduction from the first gem, and adds base % Critical Chance on top of that, which is very powerful when scaling Critical Chance.